Going to San Francisco soon with the husband. Probably my favorite US city by far (Boston is probably #2). And it is the city I have visited most often, but I love it each and every time. Great Spots to View the Golden Gate Bridge – San Francisco Travel. 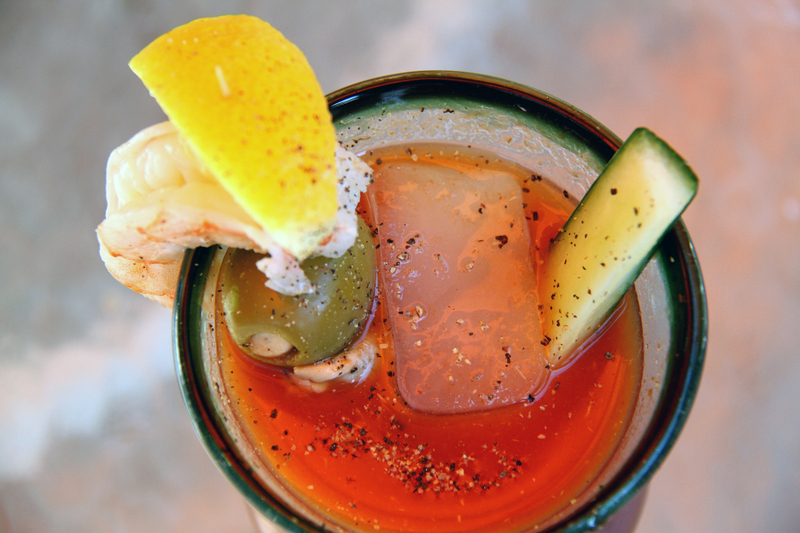 The husband created a recipe based on things he likes: Bloody Marys and seafood. He has called it Bloody Mare (“mare” being Italian for sea). I have to admit that I am not a hard alcohol drinker; I stick to wine, because it’s what I know and like. The hard stuff is just too much for me and out of my realm. So that being said, I did not try his recipe. But he liked it very much, and he has the most discerning taste I know (which is why I hate to cook for him). To make the seafood broth (brodo), sautée shallots and celery in olive oil until tender, with salt, pepper and thyme; add two pounds of mussels; sauté for two minutes; add two cups of dry white wine; cover and steam until mussels open. Remove mussels from pan; add one pound large deveined shrimp with shells; bring to simmer; cover and turn off heat, and let steep for five minutes or so. Remove shrimp and shell it for the garnish; save broth in pan. Strain through cheesecloth. 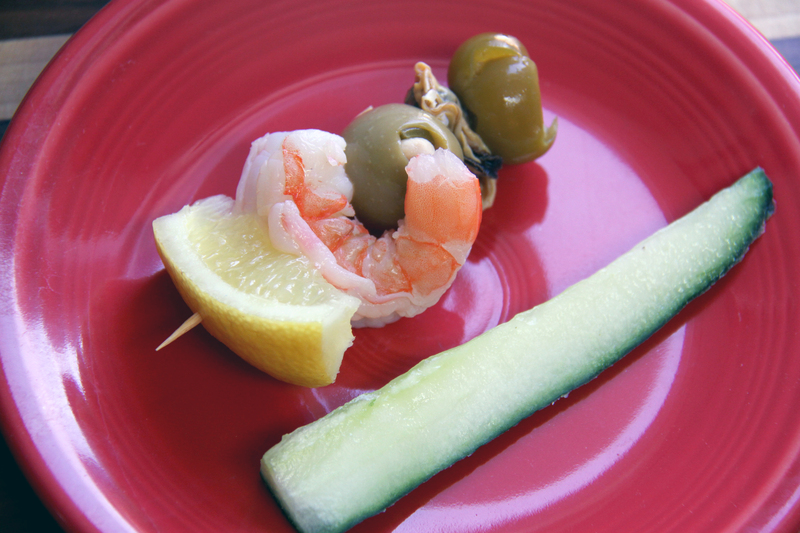 Garnish on a skewer: a plump cooked shrimp; a green olive (we used a garlic-stuffed green olive); seeded pickled sweet cherry pepper filled with cooked mussel; one spear of fresh English hothouse or Persian cucumber, seeded, unpeeled. In a 14-oz glass, add vodka, V8 or tomato juice, and the seafood broth (brodo) made, plus the usual suspects (horseradish, Tabasco, Worcestershire sauce to taste). 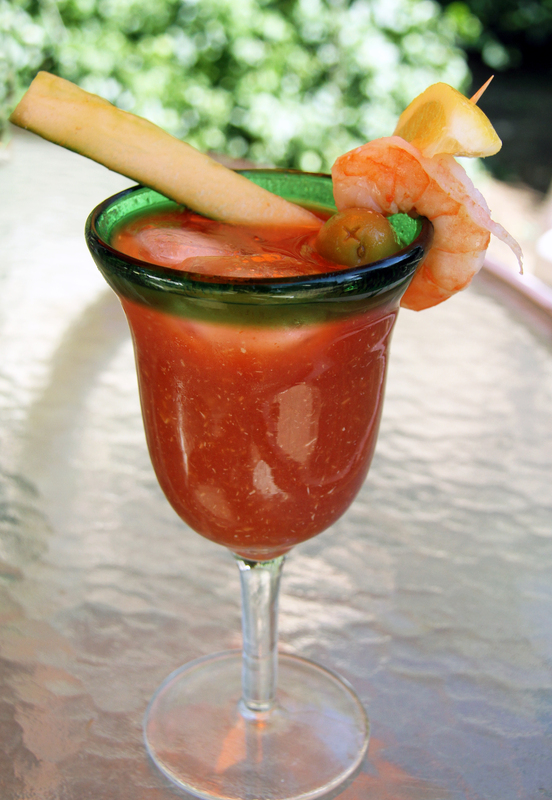 Stir in ice cubes; then add garnish of skewered seafood and vegetables, plus a lemon wedge. Add cracked black pepper to taste.